The NHS remains our most popular national institution – the thing that makes us most proud of our country. And it continues to come top when comparing it to healthcare systems which exist in other countries, for both fairness and efficiency. But we can never afford to take our NHS for granted. Years of government under-investment have been accompanied by repeated attempts to break up and privatise NHS services. Our members work tirelessly every day to ensure that patients continue to receive the best care possible. But healthcare staff are also at the sharp end of cuts, experiencing unprecedented levels of stress and pressure in the workplace. 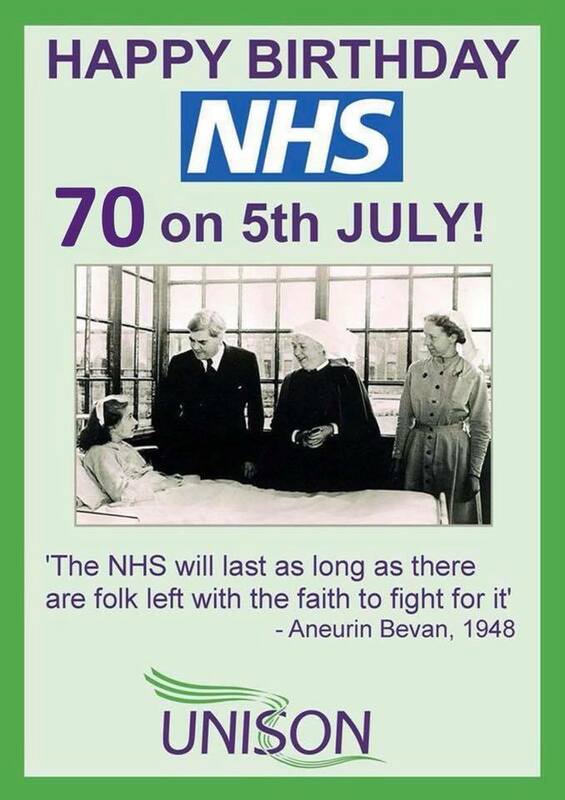 UNISON recognises that we need to continue to campaign to protect and defend our NHS. However, we also think it’s important to celebrate its achievements and everything it stands for.